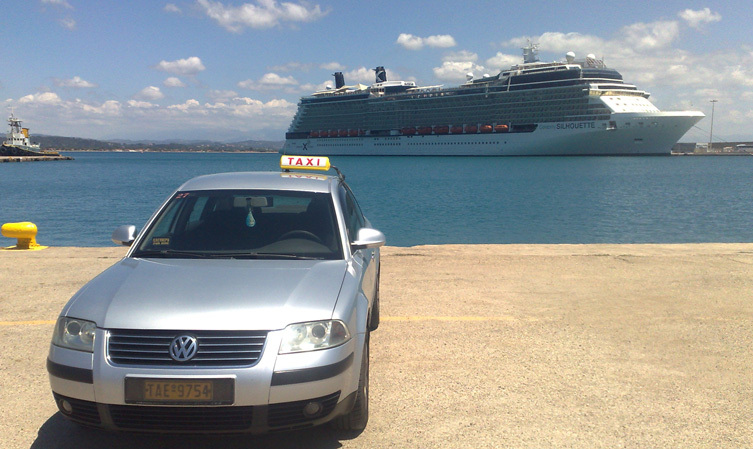 If you are interested for a visit at the Ancinet Olympia and other attractions of the region I can wait for you at the space for private taxi at the port of Katakolon with your name and organize a tour for you depends on the time you are able to spend and what you want to visit. Firstly, you can have a tour that lasts about 3-4 hours at the Archeological Site and the Museum of Ancient Olympia as well as a break at the market of Olympia. Also, if you like good wine we can visit a local, traditional winery, Olympia Land Winery, where after a short tour at the winery you can taste different kinds of wine and some snacks. That lasts one more hour. Finally, we can visit the beach of Agios Andreas, which is 3 km far from the port or the beach of Kourouta, which is 20 km far from the port. At both beaches you can enjoy your swimming, your lunch or your coffee. For any other information for another destination or anything else you want, send me an e-mail and I will answer to you as soon as possible.